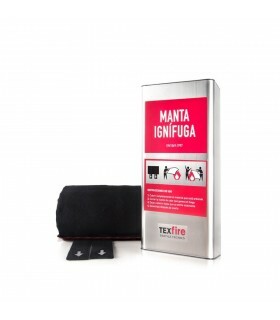 TEXFIRE Fire resistant fire blankets overcome European regulation specific for the product, UNE-EN 1869:1997, they distinguish themselves from other blankets or fireproof fabrics because they are made to act against fire, in other words, they are not only flame resistant punctually, but they also extinguish it. Due to this fact they are considered a secutiry element to act in case of fire or during the evacuation process of a fire. 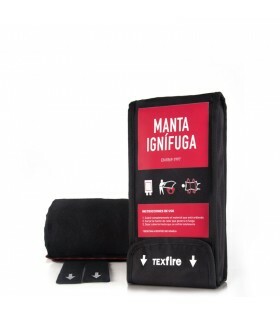 100% Fiberglass fire blankets are designed to extinguish fire, protect the environment in temperature changes due to the fabric's resistance, working in temperature ranges from -50ºC to 250ºC. Resistant to acids or organic oils and they could be used as electrical isolators, acustic isolators, thermal isolators... and uses in industry. Available in different measures and presentationa according to user's needs and their final use.